Also a key resource person in the area of Information Integrity Systems. Information Systems, Information Integrity Systems , e-education delivery mechanisms ,Information Systems in Retail Sector, Service Outsourcing and Vendor Management in Information Technology sector. Khurana Reema, 1998, “Introduction to Windows NT Server”, Excel Books, New Delhi. Mehrotra P, Khurana Reema, Khurana P, “Indian practitioner’s view on cloud based business opportunities” in International Journal of Indian Culture and Business Management , pp 159-181 Vol. 8, No. 2, 2014. Khurana Reema, Subramanian S, Routray S, “E-governance initiatives in India – Critique and challenges”, in International Journal of Procurement Management Volume 7 1/2014 pp 85-102. Khurana R, Mandke Vijay V, “Business Process Modeling with Information Integrity”, Business Process Management Journal ,vol.15 no. 4 in July 2009. Rashmi Aggarwal and Reema Khurana, November 2011, “Study of E-Contracts: Roles and Responsibility of Intermediary (With Reference to eBay.in and bazee.com Cases)”, Emerging Trends and Technologies in Computer Science and Engineering, McMillan Publishers, India. Agarwal Ankit, Khurana Reema, Mandke V.V , November 2010, ”Analytical Model for resolving Information Integrity issues in Power Trading in India”, Innovations and advances in Data Management, Garg, Routray and Gupta, McMillan Publishers, India. Varma S, Khurana Reema, Mandke V.V ,Wadhwa S, “Modeling Information bases with Integrity in a Mass Customized Supply Chain”, proceedings of The International Conference of Mass Customization and Personalization organized by Hong Kong university of science and technology in September 2005. Khurana Reema ,Kapoor N, Mandke V.V ,”Comparative economic advantage through information integrity – Case of the automobile industry in India”, proceedings of Business and Information Management Conference ’06 held in Singapore on 12th ,13th and 14th July’06, organized by Academy of Taiwan Information Systems Research. Milind Mali, Khurana Reema, Kallurkar S.P, Mandke Vijay, V , “Information Integrity Knowledge Development –A critical requirement”, in proceedings of ICMIT’06, The 3rd International Conference on Management of Innovation and Technology organized by IEEE Engineering and Management Society Singapore chapter held on 21st,22nd and 23rd June’06 in Singapore, ISBN: 1-4244-0147-X Volume 1 & Volume 2 pp 399-403. Khurana R, Kapoor N, Ramesh S, Mandke V.V ,Designing an Information Base with Integrity-An analytical approach, proceedings of International Conference on Information Systems Technology and Management ’07 edited by Malik et al organized by University of Florida and Institute of Management Technology, Ghaziabad on 12th,13th March ’07. Kapoor N, Khurana R, Mandke V.V, Managing Information Integrity, proceedings of Second International Conference on Information Systems Technology and Management ’07 edited by Sahni et al organized by Institute of Management Technology and University of Florida, in Dubai during 6th-8th March ’08. 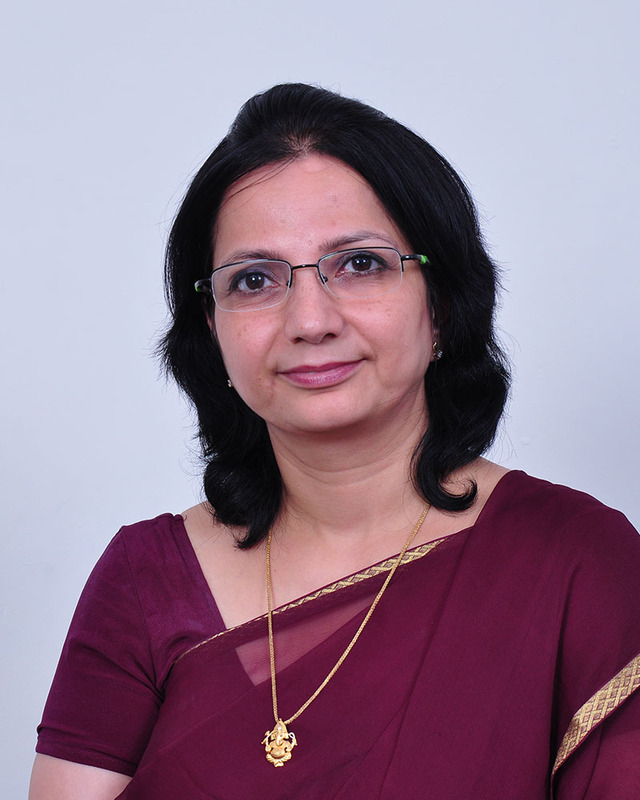 Jain Mathur Daisy, Khurana Reema, “Pricing Models in Information Technology Service Outsourcing Industry in Indian Context”, accepted for presentation in Tokyo International Conference on Social Science Tokyo, Japan during Dec 17-19, 2014. Mehrotra P, Khurana Reema, Khurana P, “ Indian practitioner’s view on cloud based business opportunities” presented in International Technology Education and Development Conference in Valencia, Spain held on 4th, 5th and 6th March 2013. Khurana Reema, Subramaniam S, Routray S, “e-Governance initiatives in India – Critique and challenges “, presented at 6th International Conference on Contemporary Business 2012, organized jointly by IIT Delhi and Curtin University, Australia at IIT Delhi on 18th-19th October 2012. Agarwal Rashmi, Khurana Reema, “Threats of Distributed Denial of Service Attacks –Critique on the Regulatory Environment” presented at 6th International Conference on Contemporary Business 2012, organized jointly by IIT Delhi and Curtin University, Australia at IIT Delhi on 18th-19th October 2012. Mehrotra Puneet, Khurana Reema, Khurana P, “Business opportunities in cloud based services – An Indian perspective” presented in 5th International Conference in Education, Research and Innovation organized by International Association of Technology, Education and Development on Nov 19th, 20th and 21st in Madrid, Spain. Khurana Reema ,Kapoor N, Mandke V.V , Comparative economic advantage through information integrity – Case of the automobile industry in India, presented in Business and Information Management Conference ’06 held in Singapore on 12th ,13th and 14th July’06, being organized by Academy of Taiwan Information Systems Research. Khurana R, Kapoor N, Ramesh S, Mandke V.V ,Designing an Information Base with Integrity-An analytical approach, presented in International Conference on Information Systems Technology and Management ’07 organized by University of Florida and Institute of Management Technology, Ghaziabad on 12th,13th March ’07. Kapoor N, Khurana R, Mandke V.V, A tutorial on Business Modeling with Information Integrity Technology at the second International Conference of Information Systems Technology and Management ’08 in Dubal during 6th -8th March ’08. Khurana R, “Two cases for Information Integrity- Healthcare and Education delivery”, presented in ICDM , 21st- 22nd February 2009 , conference jointly organized by IMT, Ghaziabad and Nanyang University Singapore. Agarwal Ankit, Khurana Reema, Mandke V.V ,” Analytical Model for resolving Information Integrity issues in Power Trading in India”, presented in International Conference on Data Management,jointly organized by University of Saskatchewan, Nanyang University and IMT,Ghaziabad on March 11-12 2010. Khurana R, Mandke V.V, “Quality necessary but not sufficient- An Information Integrity imperative”, National conference on Supply Chain Management for Competitiveness, organized by Institute of Management Education, Sahibabad, Ghaziabad. Agarwal Ankit, Khurana Reema, Mandke V.V ,”Analytical Model for resolving Information Integrity issues in Delhi Metro Rail Coproration, India”, Conference of International Journal of Arts and Sciences, May 2010, Badhofgasteinn , Austria. Routray Susmi, Khurana Reema, “Examining the success factors of e-governance in developing and developed economies “, Conference of International Journal of Arts and Sciences, May 2010, Badhofgastein , Austria. An empirical analysis of factors affecting consumer satisfaction due to technological intervention in Indian retail. An empirical analysis of supplier behaviour due to technological intervention in Indian retail. An empirical analysis of employee satisfaction due to technological intervention in Indian retail. Currently working on a book titled ” Software Project Management – an I*I based approach”. The Table of Contents of this book have been reviewed and found suitable by 11 national universities offering this course. There are 11 chapters in this book and already 8 chapters have been written and are under review by the publisher. The book should be ready in another 3 months. On the examination board of GGSIP University, Pune University, Yashwant Rao Chawan Maharashtra Open University, SNDT University ,NIIT University. PhD. Supervisor associated with National Law University, Jodhpur. On board of NIIT Ltd to give consultancy on their tie ups with universities worldwide. Spearheading a funded project of AICTE in the area of IT in Retail sector. General Co-Chair of the Third International Conference on Information Systems Technology and Management 2009 with University of Florida during March 12 -13 , 2009 in IMT, Ghaziabad. Program Co-Chiar of Second International Conference on Information Systems Technology and Management 2008 with University of Florida. The conference was held in World Trade Center in Dubai during March 6 -8 2008. Track Co-Chair of First International Conference on Information Systems Technology and Management March 13 – 14 2007.The conference was held in IHC, New Delhi. Organized a 15 day long Management Development Program on Skill Development for HR Executives for ONGC at IMT, Ghaziabad. Provided consultancy to Defence Canteen on Requirements elicitation, Analysis and Design of Inventory Management Software. Provided consultancy to Omega Watches on an Inventory Management System. Young Contributors award for significant contribution in the Knowledge Development Initiative for Information Integrity in 2008. Was awarded “Outstanding Employee” of the year award in 1993 in NIIT Ltd for the marked contribution made to education and training.